After spawning in the Ottawa River, large numbers of American shads (Alosa sapidissima) migrate downstream towards the ocean. 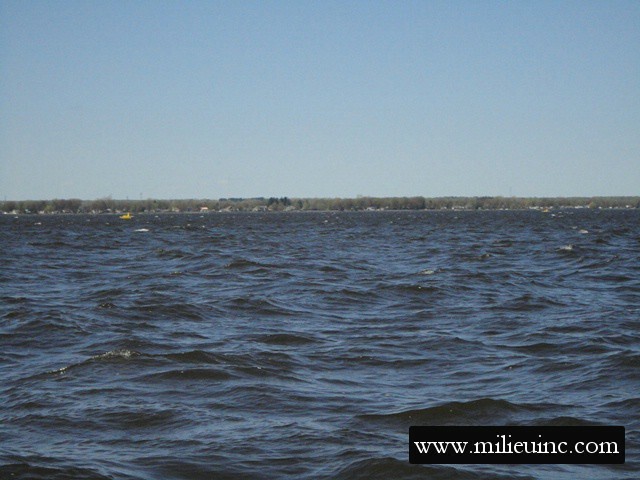 Some of them use the Des Prairies River, located between the Island of Montréal and Laval. Thoses shads are impeded by the Rivière-des-Prairie Power Dam. 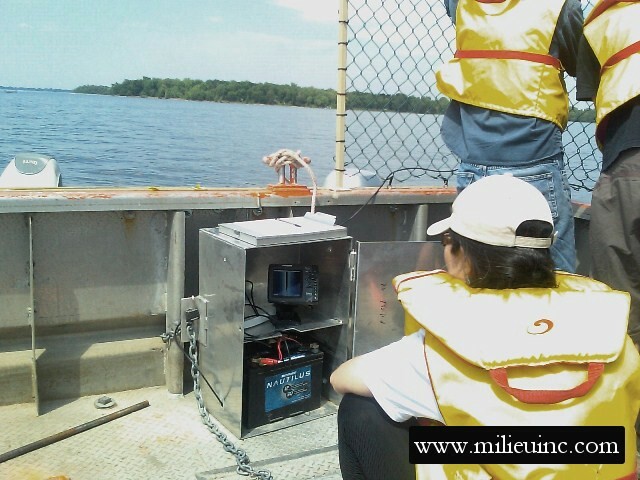 In addition to the projects conducted at the Power Dam (American Shad Migration Monitoring) , guidance trials were performed in 2011 and 2012 in the Lake of Two Mountains. 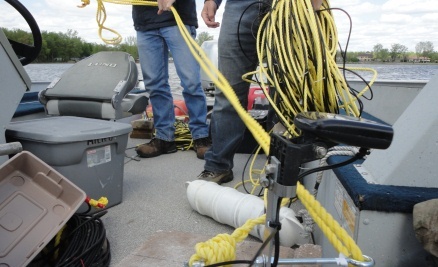 The Institut de Recherche d'Hydro-Québec created and tested a repelling device to guide the shads to alternative paths. Within this project, MILIEU was commissioned to determine what path the shads take in the presence of the repelling device trials. 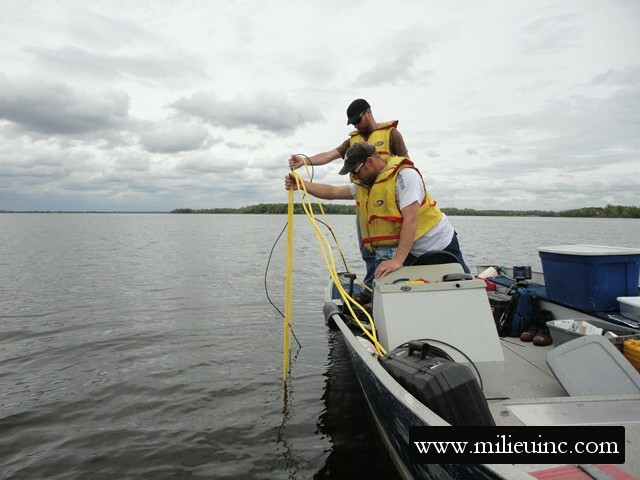 Side-scanning sonars were installed by MILIEU in the Lake of Two Mountains and its outlets to detect and quantify their movement. The data analyses were performed using specialized software developped by MILIEU.